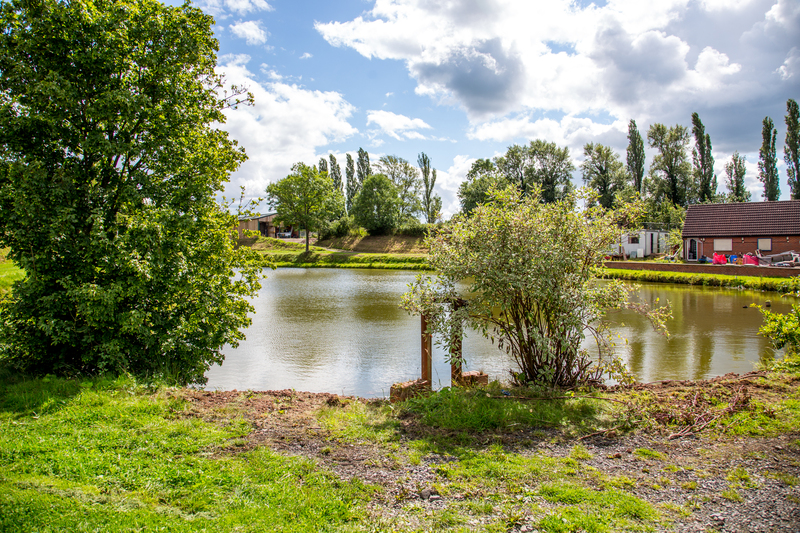 Welcome to Brookside Fisheries ,established in 1984 by Peter & David Barratt, we are located in the picturistic Cheshire countryside village of Betley, famous it annual Betley farm show and bonfire. 16 of the M6 and 7 miles from Newcastle under Lyme, we have has a long history and fine reputation for providing carp angling which is second to none. David Barratt has owned Brookside Farm for more than 50 years initially farming pigs and growing vegetables to sell on Hanley and Stoke markets. In 1984 the discussion was taken to diversify and covert a valley in a Trout pool, now known as the bottom pool. In 1992 2 small pools where opened up into one large on and the specimen pool was established. 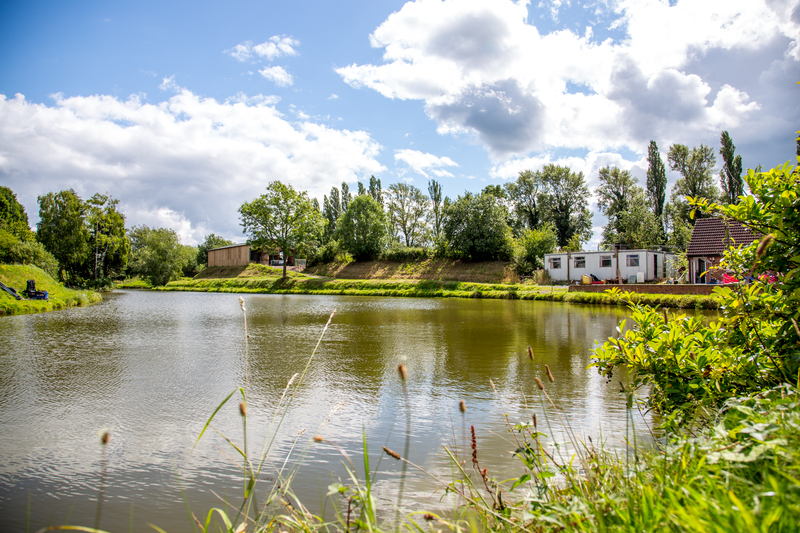 At Brookside Fishery we are always striving to improve our facilities with a tackle shop, improved walkways, disabled access[ ongoing ], toilet facilities and soon to come campsite. Brookside Hire, and undertakes all the maintenance around the lakes- Peter 07973 412217. The Specimen Carp Lake with recorded weights of carp up to 26.0lb. There are 36 well spaced out swims, with some hard standing positions and others on grass so you can choose your position to your taste. The lake goes to a depth of 14 feet in the middle. 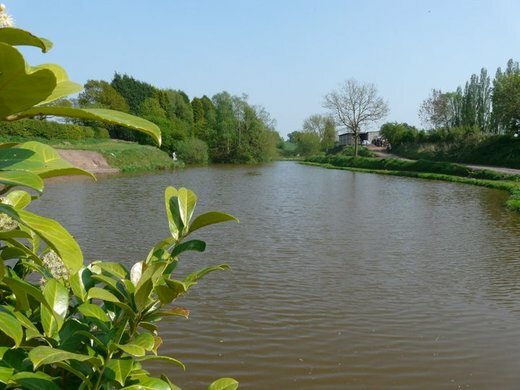 It is in a superb setting overlooking the Cheshire and Staffordshire countryside, this pool is for pleasure fishing only. This pool is perfect for those fishermen who appreciate pleasant, peaceful surroundings. There is strictly no pole fishing on this pool. To fish this pool, keep it simple, using only luncheon meat, sweetcorn, maggots and bread. To float fish, bread, Chum Mixer or Brookside Pellets. (to 22lb) ; roach (to 3.0lb). the lake goes to 16feet in the middle. Our Match pool is also for pleasure fishing during the week and weekends, but during competition times this pool is used or part used. On this pool you can used both poles and rods. Please note: when fishing on either Lakes you must be equipped with a un-hooking mat and net. In the shop we have a wide range of tackle available and where you can hire mats and nets. 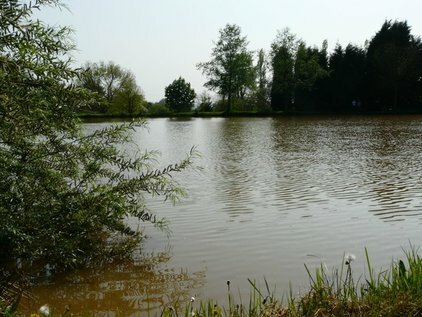 We offer a good quality carp pellets which must be used on our pools to ensure the health of our fish and various others baits to purchase . We serve cooked breakfasts using sausage and bacon from our own pigs which must be ordered by 9.00am and at lunch time we sell burgers, chicken curry and chips etc. Light refreshment, hot and cold drinks are also available. 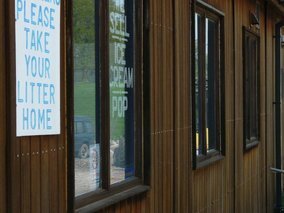 Toilets are located in the tackle shop on the right hand side. We kindly ask you to use these at all times. We have basic facilities (toilet and water) for 3 touring caravans at present but we hope to have electric hook up in the near future.